Bubur Ayam is an Indonesian chicken congee. It is rice congee with shredded chicken meat served with some condiments, such as chopped scallion, crispy fried shallot, celery, tongcay (preserved salted vegetables), fried soybean, Chinese crullers (youtiao, known as cakwe in Indonesia), and both salty and sweet soy sauce, and sometimes topped with yellow chicken broth and kerupuk (Indonesian-style crackers). Unlike many other Indonesian dishes, it is not spicy; sambal or chili paste is served separately. 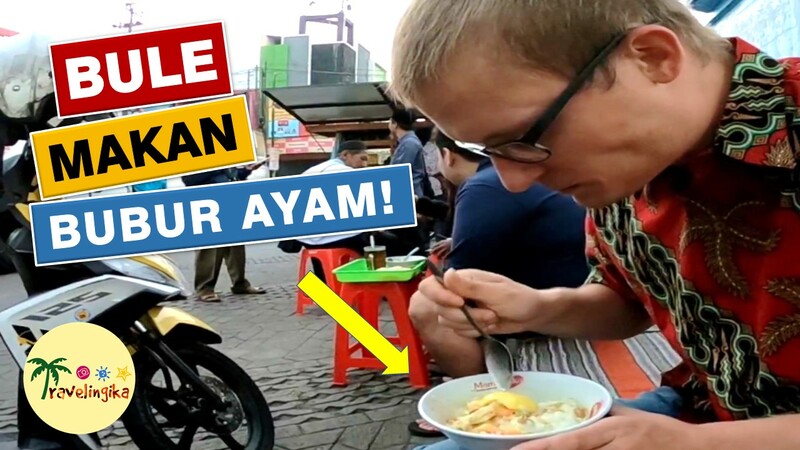 It is a favourite breakfast food, served by humble travelling vendors, warung (small local shops), fast food establishments, and five-star hotel restaurants. Travelling bubur ayam vendors frequently pass through residential streets in the morning selling the dish.